Our goal is to transcend functional, budgetary and other requirements to create buildings that delight - from the ways they are integrated into the environment to the smallest architectural detail. 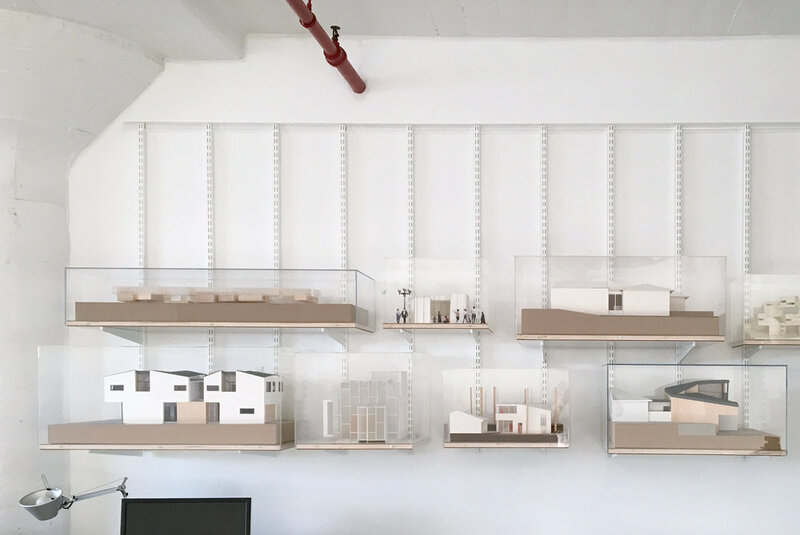 Casey Hughes Architects (CHA) is a full service architecture firm specializing in architecture that engages materiality, innovative spatial organizations, and cultural issues, through research and design. CHA combines compelling design with proficient and value oriented project, budget and construction management. The work of Casey Hughes Architects has been featured in various book and periodicals such as Dwell Magazine, The Los Angeles Times, and The New York Times. Casey Hughes, the principal of Casey Hughes Architects, is a licensed architect and a LEED Accredited Design Professional certified by the United States Green Building Council. Casey has worked on a wide range of architectural projects including design, documentation and construction management of single and multi-family residences, retail and restaurant spaces, as well as educational and cultural facilities. His design work has won several awards, including first place in the Lyceum Competition for which he received a six-month travel grant to research architecture in Japan. He was also awarded the American Institute of Architects’ Henry Adams Medal for Excellence in Architecture. Casey received a Bachelors of Architecture from Southern California Institute of Architecture (SCI Arc), graduating valedictorian. He holds a Masters of Architecture from Harvard Graduate School of Design (GSD) where his work was selected to appear in numerous publications and exhibitions. Upon graduation from the GSD, Casey taught an architecture studio in the Harvard GSD Career Discovery Program. He has also taught advanced graduate architecture studios at the Boston Architectural College and has served as a critic at other universities, such as SCI Arc, Cal Poly Pomona and University of Southern California. Casey currently holds a faculty position at Woodbury University’s Architecture Department, leading an architectural design studio and a course on representation. Casey has served on the Advisory Committee for the Saturn Elementary School in Los Angeles since 2009.